Celebrate the Chinese New Year with this delicious twist on the classic egg roll! 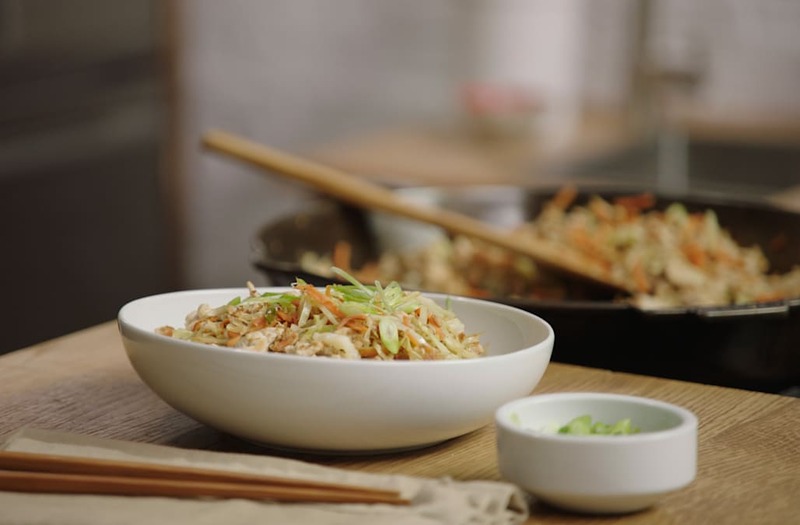 Made with delicious veggies, aromatic ginger and protein-packed chicken, this recipe is perfect for a quick and easy dinner. Add the ground chicken breast and cook it until it is brown. Slice the green onion and add most of it into the pan. Keep some for the garnish. Add in the grated ginger, garlic and coconut aminos making sure to stir so that the ingredients don’t burn. Add coleslaw and sesame oil and cook until tender.